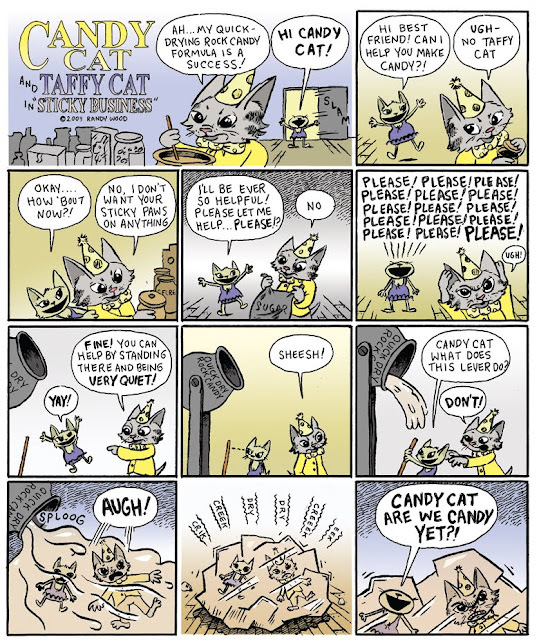 PRO-COMICS: Candy Cat and Taffy Cat in "Sticky Buisness"
Candy Cat and Taffy Cat in "Sticky Buisness"
I teach a weekend comics workshop at the Pratt Fine Art Center in Seattle. This comic appears in their spring catalog. I love bouncy, overly eager little characters like Taffy Cat. I imagine their every movement is accompanied by some kind of "boing, boing" sound effect.